Welcome back to a new post! I've been gone a bit of a while/I've only been posting one to two posts a week, mainly due to things such as, moving back home for the Summer, coping with everything mentally, and trying to enjoy some me time. 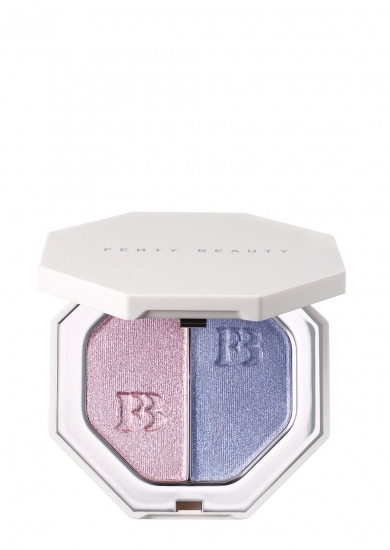 Anywho, I thought that today, I would talk to you all about Fenty Beauty and all of their new products. I was going to talk about it a few weeks ago, but, read above. The packaging to this is super fashionable and compact. It honestly reminds me of hotel tiles, which I feel like ia what Fenty were going for when designing the product as it mimics the tiles in hotels within Marrakesh/Morocco? One main problem I had straightaway was the fact that the names were on the back, because, having slightly bad vision and a memory like a sieve will mean that I will have no idea what half the names are. The shades look super pigmented and rich within the pans therefore I could tell that the colours would be sharp before I even swatched them. i swatched and, oh my god, I loved them. 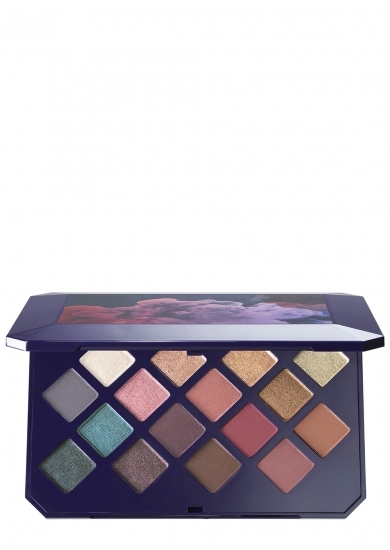 First of all, I love how the palette has a mix of mattes and shimmers, because it means you can create a stunning day look and then amp it up later with a tad bit of shimmer to make that night out a bit more spicy. The ones I swatched include: Mo'Rockin Ice: Shisha Smoke: Quicksand and Evil Genie. The Shimmers which are Mo'Rockin Ice and Evil Genie were super shimmery, and, honestly would draw anyone to your eyes when the light hits your face, even, if you have quite blinding highlight on. Mo'Rockin Ice is a iridescent icy pink colour with bright pink shimmer which drew me instantly because bright Pink reminds me of early summers listening to P!nk and enjoying ice creams with pink balls of Bubblegum at the bottom of them. Evil Genie is a bright Turquoise pearl. Turquoise is a brigth Summery colour as it is, but, I have loved anything Turquoise for years, even to the point of dyeing my hair that exact colour, a fair few years ago. Shisha Smoke is a Matte Blue Grey, which, is a good enough colour on it's own for a day look especially if you put a tad bit of Mo'Rockin Ice in the corners of your eyes to make them pop, or, you could always layer Shisha Smoke and a darker colour in the palette to create a smoky look or, even add a layer of Evil Genie on top to make it into a glamorous look. Quicksand is a Satin Papaya shade, so it's a sort of golden orange colour which honest;y if you're a medium skin tone, it would look amazing as a transition colour. I think that maybe this on it's own for anyone thats pale like myself, it would be good enough on it's own for a subtle summery beach day look. Okay, so, everyone knows what an eyeliner is, but as the cosmetics industry grows, so does the amount of makeup products. We now have pencil, liquid, gel and hybrid liners. This eyeliner is pretty fly for a reason. The tip is quite fine from what i remember but the liner is super pigmented, and is pretty longwear. It took me two days and three different cleansers to get it completely off the back of my hand. This liner is definitely one that people will keep talking about for months and months to come. I saw these in store and instantly fell in love with them. 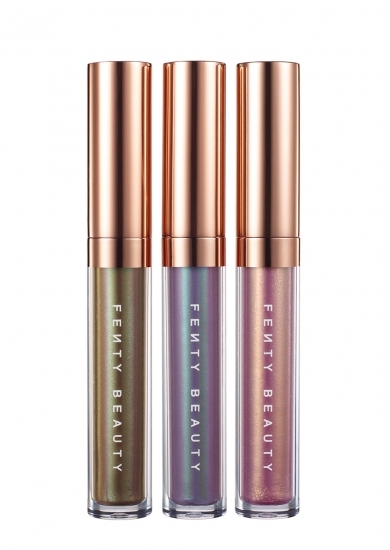 These Lip Luminizers are literally the epitome of Summer Lips. They're shimmery but also sort of dark and mysterious due to the shifts in the shades. The texture of them reminds me of sort of liquid lip, just from the feel of it. You pay for all three shades in one, so I'll go through them one by one. First of all, theres Snake Skin. This shade is a holographic Burgundy/Green Shift which is to die for. Honestly, I think that this might suit darker skin colours a bit more, but, when I swatched it, I honestly wanted to cover my hand in it because, it's that pretty. As I said, the texture is a sort of liquid to shimmer so I'd say either apply this on top of a sort of already burgundy colour, or, just apply it on its own. This and a smoky eye would be a stunning look. The second shade is Mermaid Thighs, which is a holographic Blue/Purple Shift. Before we even get into the product itsefl, what a name! If I was wearing Mermaid Thights, I'd be telling everyone. To be honest with you, if I had 'Mermaid Thighs', i'd be shoving them in my friends faces, telling them to look at my beautiful Mermaid Thighs! I love anything that is Blue or Purple. I just love how it makes anything pop around it. If you were going for a full sort of blue look, then, it would go perfectly with a couple of shades mentioned in the Moroccan Spice section. The colour of this one looked beautiful and instantly reminded me of a dark water warrior when swatching. Last on the lippies is, Vaycray. I could always go for a crazy vacation. This has a holographic Gold/Pink Shift to it. I think that this would go perfectly with Mo'Rockin Ice when teaming it up with something to make a completely realised look. I think that it would also make a sort of nice clean lip look to something dramatic on the eyes. I just love how the shift makes it go from luxurious and serious, to, luxurious and fun. These lip products also smell amazing and sweet too, which is a plus, because personally I'm not the biggest fan of products smelling chemically when they're being applied to my lips, as I'll end up smelling it for ages due to being under my nose. I hold my hands up! I only swatched one of the Killawatt's. I didn't have the entire day to swatch everything that I dream to have. I also needed food, and, I'm sorry but I'm sure Rihanna would agree with me, that food is very important. 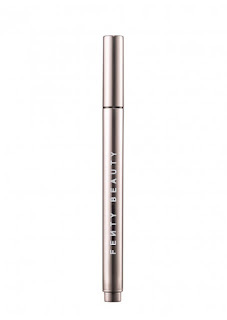 The Killawatt that I swatched was the foil based one because, well, my eyes were drawn to it instantly. The Killawatt is a cream-powder hybrid which I wasn't sure about, but, I quite liked the formula once it had all settled on my hand. (I'm really particular with hybrids due to my skin being dry as the humidity in Morocco.) The two shades that you get are 7DayWknd which is a Metallic Orchid and Poolside which is a Metallic Violet. Honestly, they're both amazing but i loved the deeper Violet a tad bit more. 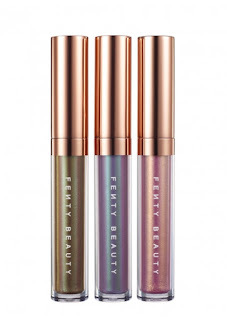 Go and check out Fenty Beauty via Harvey Nichols. I hope that you have enjoyed this blog post all about my first impressions of the new Fenty Beauty items. If you've tried any of the above then let me know down below.